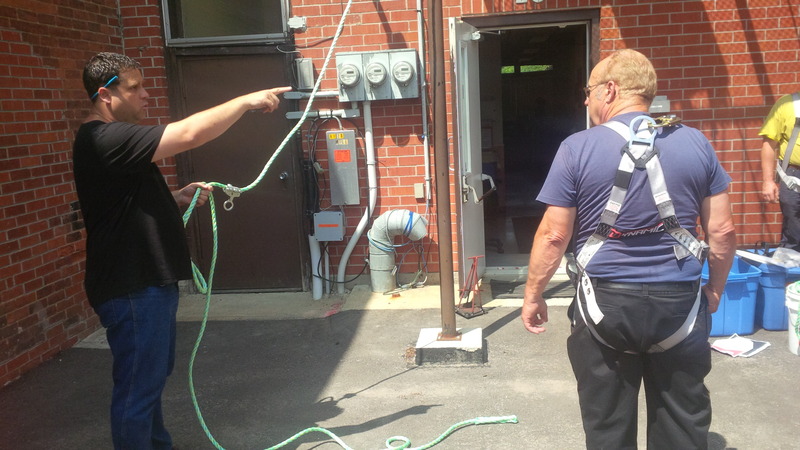 Ottawa, ON–July 09, 2015—Auspice Safety Inc. (ASI), an Ottawa-based professional occupational health and safety consulting firm, is now approved by the Chief Prevention Office of the Ontario Ministry of Labour to offer Working at Heights training in construction. The provincial government tightened the rules surrounding working at heights on April 1, 2015. Effective then, all workers who work at heights and who did not possess current, recognized fall-protection training were required to comply with the new standard immediately. Those who did possess recognized fall-protection training were given at most a two-year grace period to come into compliance. Because of the sweeping nature of this change, the number of workers needing certification, and the relatively small quantity of approved training providers, demand for Working at Heights training has been high across Ontario. Training regularly sells out months ahead of time, and some Ottawa providers have had to schedule extra courses outside regular business hours to keep up with demand. ASI became approved to offer Working at Heights training on July 3, 2015. The company will offer training four days each week for the remainder of the summer, effective immediately. Each ASI class can accommodate as many as 12 people, is offered in English or French, and can be hosted at ASI’s own modern training facility or on site at a client’s preferred location. By adding Working at Heights training to its comprehensive portfolio of health, safety and ergonomics training solutions, ASI further delivers on its mission of providing leading occupational health and safety services to facilitate compliance with all federal and provincial regulations and legislations.